This stylish new cruising trimaran delivers speed and comfort, thanks to high-tech construction and French design. 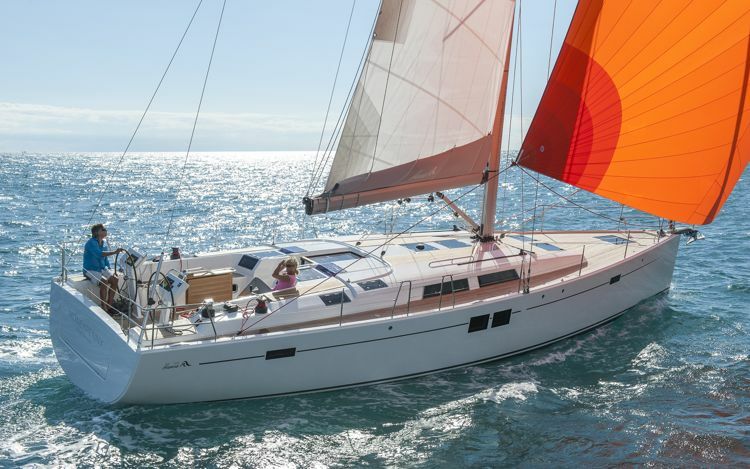 Cruising multihulls are not new, and in fact, catamarans like the Leopard 48 and the Moorings 5800 are the fastest growing segment of production charter sailboats. 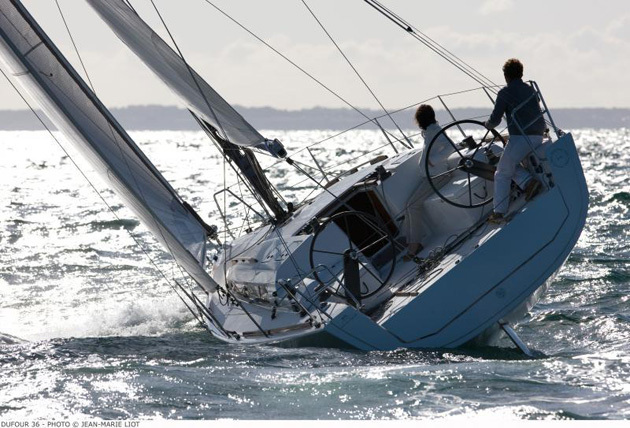 However, trimarans have mostly haunted the offshore racing circuit and few designs have successfully crossed over to being comfortable cruising platforms that still deliver double digit speed. Enter NEEL, which builds 45, 50 and 60-foot models in their plant in La Rochelle, France. The smallest of the designs made its U.S. debut at the Annapolis boat show last year and judging from the foot traffic, people are taking notice of what a trimaran has to offer. 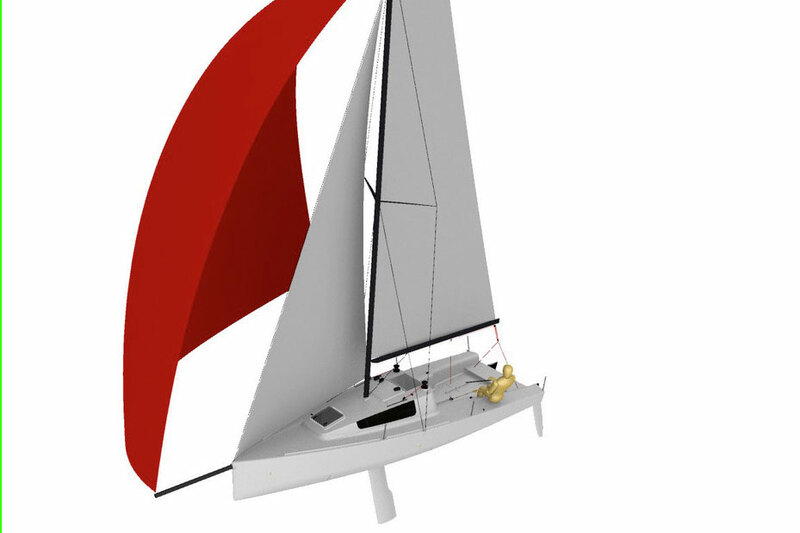 Production trimarans may be relatively unusual, but NEEL plans to change that with sailboats like the 45. 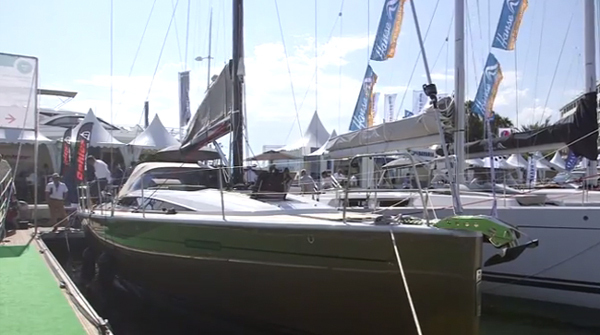 The NEEL 45 has the profile of catamaran and with its vertical saloon windows, resembles the older style of Lagoons. 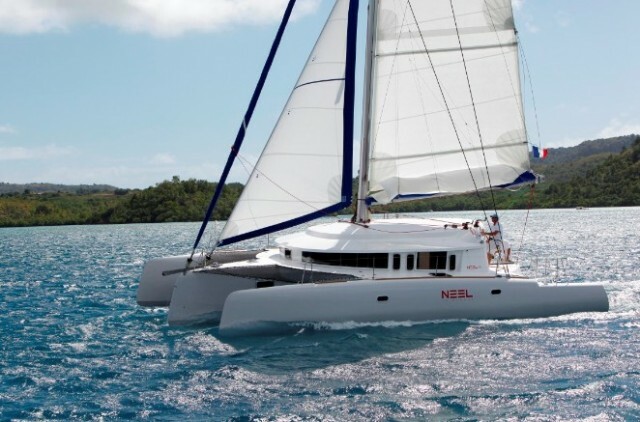 But unlike a production catamaran, the NEEL 45 is built to fly a hull (actually ama) and consistently deliver 10 knots of speed under sail. The design was conceived by Joubert Nivelt Mercier and builder Eric Bruneel, who spent 26 years working with French cat builder Fountaine-Pajot and who also won his class in the 2004 OSTAR solo transatlantic and the 2005 Rolex Fastnet races—in a trimaran of his own design. 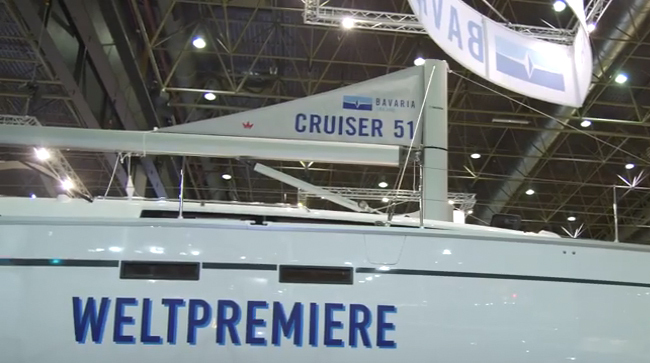 Bruneel wanted to take the performance of a trimaran, add creature comforts, and bring the concept to the cruising market. The cockpit of the NEEL 45 is split with a table and settee on either side. A lounge is elevated on the starboard side and the raised helm is to port. Ten could easily enjoy cocktails in this social area. The decks are clear and it’s easy to walk all the way around this boat on the circular outer edge. From above, the boat looks like a spaceship with a walkway. Twin headsails and a mainsail with significant roach and twin mainsheets drive the boat, and electric winches are optional. Unlike cats, this trimaran will sail well upwind, tacking within 40 degrees and with the central hull under-deck clearance, will pound less into head seas. 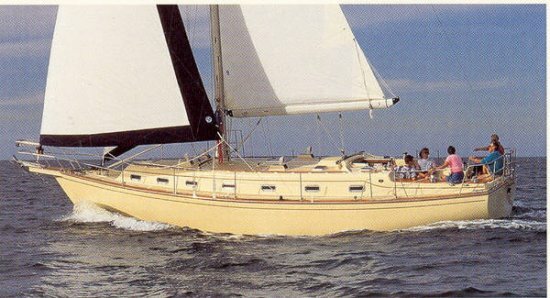 Auxiliary power is provided by a 55 hp Volvo with a Saildrive and although not as maneuverable as a cat with twin engines, the NEEL 45 handles well under power. Traditionally, trimarans have been a compromise in their layout and accommodations. A narrow hull and two thin amas provided lots of small spaces but little to work with in terms of creating large comfortable social areas. However, the NEEL 45’s interior has managed to overcome tradition. Enter through the sliding glass door and step into a well-designed centerline galley with double sinks and drawer refrigeration. Just ahead is the full-width social space with a navigation station to port and an L-shaped dinette to starboard. Maximizing cabin space aboard a trimaran isn't easy, but the NEEL 45 does a good job of keeping the saloon and cabins spacious and light. Sail Area 860 sq. ft.
Aft of the galley on either side are the doors to two athwartship cabins with double berths and ensuite heads. 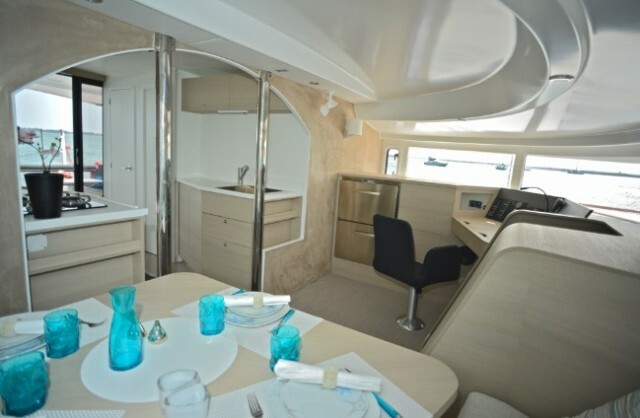 Unlike on catamarans where the cabins are down in the hulls, these cabins share the central bridge deck so they benefit from large windows and plenty of light. A third cabin is forward down in the main hull and is accessed via the saloon. The charter version ads four single berths outboard, two in each ama for total sleeping accommodations for 10. With its closed-cell foam and honeycomb PVC sandwich construction, the NEEL 45 is strong but light, weighing in at only 13,000 pounds dry. High-tech isn’t cheap and the price for this sailboat starts at just over a half-million dollars, but this construction keeps the multihull strong and nimble. 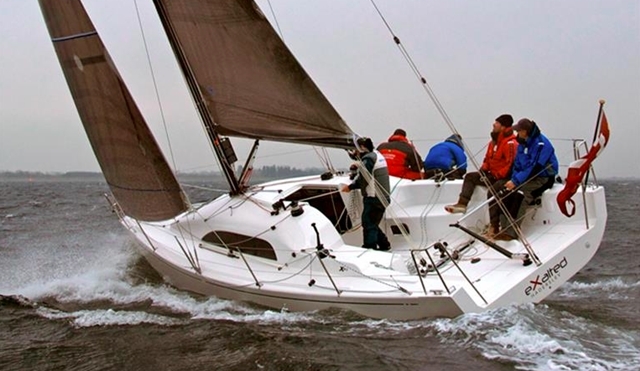 With a bit instruction on the nuances of sailing a trimaran, this may be the perfect mix of cruising comfort and racing speed. 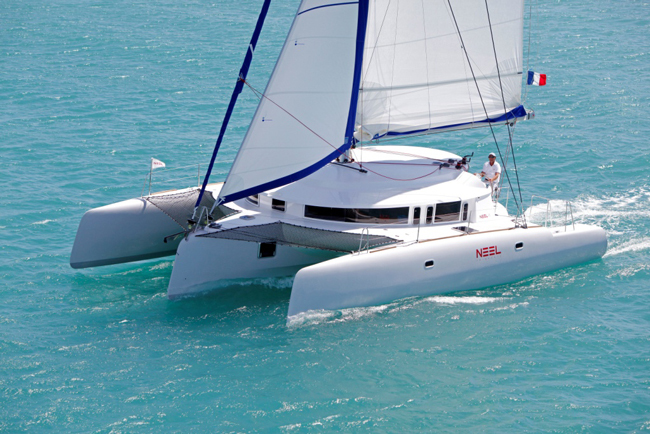 For more information, visit NEEl Trimarans.